Labor politicians have three response­s to the proceedings of the Royal Commission into Trade Union Governance and Corrupt­ion: it is a political exercise that should be ignored; there will be no running commentary on it; and there are just a very few bad apples­ in the union movement. The last of these assertions — there are just a few bad union offic­ials, with the vast majority being honest and hardworking — is looking a bit thin. To be sure, a concession is made that the behaviour of Mich­ael Williamson, Craig Thomson and Kathy Jackson, all officials of the Health Services Union, was a bit on the nose. But they are the exception. The trouble is that many of the activities of the union officials review­ed by the royal commission look dubious, secretive, immoral and possibly illegal. And bear in mind that the terms of reference restricted the commission to considering only a handful of unions. There are various versions of bad behaviour on the part of union officials, and not all fall into the category of direct self-enrichment. But there are plenty of example­s of union officials simply ripping off members by getting the union to pay for personal expense­s. The latest in this saga is the National Union of Workers, the old Storemen and Packers Union. Home to the Belan dynasty — father­, sons, granddaughter — the union was asked to pick up the tab for a tattoo, Tiffany jewellery, iTunes ($12,000 worth), Lego and sunglasses. The one I like the most is the cost of accessing a dating­ website. There are at least two questions here. What is the moral compass that would direct a union official — actually a group of union officials — to allow this type of expenditure to be paid out of members’ dues? And what legal and institutional constraints exist that would confine spending by the union to legitimate business functions needed to service and improve the welfare of members? There is only one answer to the first question: these officials live on another planet where their personal and union affairs are inter­twined and where people and money flow between unions, parliament, affiliated superannuation funds and the Fair Work Commission (and state tribunals) without any real questions being asked. The answer to the second question is obvious: there are really no constraints on the behaviour of union officials. We often know about these disgraceful incidents because there has been a falling-out between officials or some factional brawl. The regulator (the Fair Work Commission) is completely useless. With private-sector unionism down to 11 per cent, the union movement would be wise to take a hard look at itself and support the establishment of the Registered Organisations Commission. There is no reason why the behaviour of union officials should not be governed by the same principles — and degree of transparency — that apply to company directors and officers. Potential members could then have more faith in the trustworthiness of offic­ials than is the case today. The former Attorney General Robert McClelland has let Julia Gillard know it is game on in relation to the prime ministership. 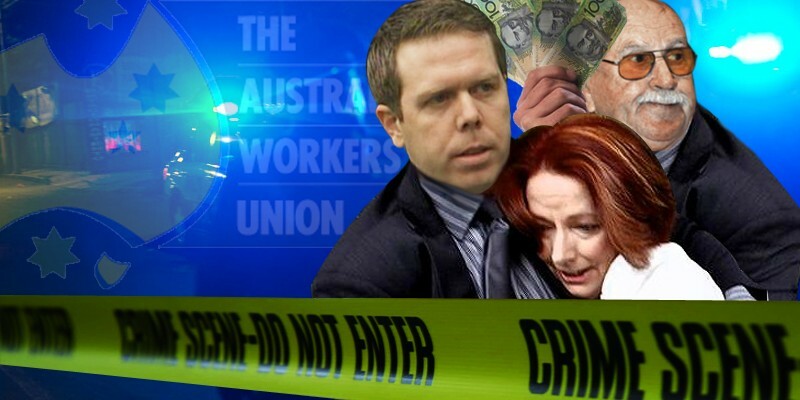 By naming Julia Gillard and the case involving her then boyfriend Bruce Wilson who was involved in fraud and theft when he worked at the AWU in parliament last Thursday Mr McClelland has put the focus and blow torch on Ms Gillard and her involvement in the fraud. Mr McClelland’s motives are fairly clear given that he is a well-known Kevin Rudd supporter and lost his position as Attorney General because he supported Kevin Rudd in the last leadership ballot in February. It has been picked up by two senators, the Nationals Barnaby Joyce and the Liberals George Brandis, who started asking questions on Friday in parliament. Andrew Bolt broke the story on Thursday and has done two posts on it since which I will get to in a minute. But it looks like it could explode so let’s have a quick overview first. It was picked up a couple of weeks later by Mike Smith who was then a radio announcer at 2ue and he ran with it but focused on Julia Gillard’s involvement in the fraud. Andrew Bolt from News Ltd joined in the reporting and so did Glenn Milne from News Ltd.
Glenn Milne was sacked from a casual on-air position with the ABC and has never been heard of again at News Ltd. Mike Smith was suspended from 2ue and lawyers from 2ue told Mike Smith’s lawyers they were about to sack him so he took court action seeking an injunction to stop them. It was settled out of court and Mike Smith left 2ue. Now back to Bolt and his latest posts on Robert McClelland throwing a hand grenade into the Prime Minister’s office. In Parliament today, McClelland hit back – by referring obliquely to an explosive scandal in the 1990s involving her then boyfriend Bruce Wilson, an Australian Workers Union state secretary accused of ripping off union money. McClelland said it was a case in which Gillard and he were “representing opposing clients” and “that matter has coloured much of my thinking in this area (of cracking down on malfeasance by union officials). Even more pointedly, McClelland told Parliament the Government’s proposed toughening of Fair Work Australia’s investigative process did not go far enough, and needed the power to force union officials “to compensate the organisation for loss arising from their misconduct”. Robert McClelland has lifted the lid on a story that many in the media have been too scared to touch – a scandal involving a then boyfriend of the Prime Minister. Dumped attorney-general Robert McClelland says the Labor Party has not gone far enough in cracking down on corruption in the union movement, citing examples going back to the 1990s connected to Prime Minister Julia Gillard. This will obviously play out over the next few days and weeks. Why was it left to an ALP MP to bring this to a head in parliament and why the liberals and nationals have not gone after this sooner who knows. But if the Nationals and Liberals drop off it will be very sad indeed. With Julia Gillard’s past she should have never been Prime Minister in the first place. I was going to publish an affidavit that has come into my possession today but this story overrode it. But the affidavit is well worth a read to say the least. What is it about? I won’t say as it would pre-warn the person involved. But I will publish it in the next few days. So check back or subscribe to the free email notification. Sometimes you can say one word or one line that can destroy your case or defence. With Ian Cambridge and Bill Ludwig there are just a couple of lines that you need to look at that destroy their creditability that they were trying to get back the stolen money in the Bruce Wilson / Julia Gillard / AWU fraud in 1996. The evidence for this comes straight from the horses mouth in Ian Cambridge’s affidavit he wrote in 1996 and the letter he sent to the then Federal Minister for Industrial Relations Laurie Brereton in 1996 asking for a Royal Commission into the AWU scandal. It is not always what you say, it can be what you do not say that is telling on what the reality is. A prime example is in court where parties leave out information that is not beneficial to there case. Remember this when reading this post. In January 1996 Ian Cambridge wrote to the Federal Labor Party government requesting a royal commission. In March 1996 Labor lost government and the John Howard led coalition government came to power. If Cambridge was serious about having a Royal Commission why did he not write to the Howard government requesting a Royal Commission? Because he knew there was a good chance they would actually have a Royal Commission! This has been written about extensively here and many other places, but a it is worth having a quick overview. 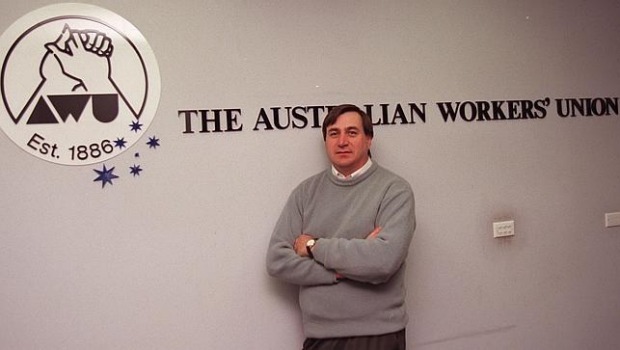 In the early 1990’s Julia Gillard’s then boyfriend Bruce Wilson and others were committing mass fraud and theft at the Australian Workers Union. 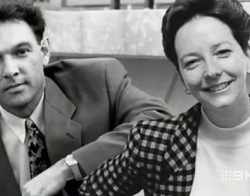 Julia Gillard was involved in helping Bruce Wilson and she left the law firm she worked for, Slater and Gordon and Bruce Wilson and others left the union in 1995. Exactly how much Julia Gillard helped Bruce Wilson and when she exactly left Slater and Gordon is in dispute, but lets not argue those points here. Ian Cambridge who was then Joint National Secretary of the AWU started an investigation and in January 1996 wrote a letter to the federal minister asking for a Royal Commission. Bill Ludwig who was then the President of the AWU instituted various proceedings to get some of the money back. In one of these proceedings Ian Cambridge wrote an affidavit in September 1996. The union never recovered any money as they dropped off the chase. There were also various police investigations which went nowhere. There was clearly a factional fight going on in the union and very few if any people in management had clean hands. From what I can tell is that Bill Ludwig, Bruce Wilson and Ian Cambridge were on one side with the other Joint National Secretary Steve Harrison and others on the opposite side. What is clear is that the Steve Harrison side was going hard after Bruce Wilson and then Ludwig and Cambridge retaliated and went hard after everyone as if to say if Bruce Wilson goes down you will too. Bill Ludwig and Ian Cambridge would have been fully aware by doing what they did would put the blow torch on many people in the union movement and Labor Party to make sure that the whole mess was covered up. It is highly likely that Bill Ludwig at least and likely Ian Cambridge were beneficiaries to some degree of the many cash cheques Bruce Wilson authorised. In Ian Cambridge’s affidavit he signed on the 19th September 1996 you can see where he goes right after the document trail. The affidavit was produced in a matter instituted by Bill Ludwig against many members of the AWU. In the affidavit it shows Cambridge sent letters to banking institutions and also the law firm Maurice Blackburn requesting information and files. Slater and Gordon lost the AWU account in 1995 when the fraud and theft came to light and it was moved to Maurice Blackburn. Nowhere in the affidavit does it say or show that Ian Cambridge requested any information from Slater and Gordon which leaves one greatly disturbed. There is no excuse for it, even more so given he went hard against Maurice Blackburn trying to get their file. Page 33 paragraph 26 – 4TH August 1995 – Robert.F.Smith – Branch Secretary of the AWU Victoria Branch – sent a fax to Cambridge that he intended laying charges against Bruce Wilson under union rules and that these charges would also be forwarded to the police. Page 33 paragraph 27 – 9th August 1995 – Cambridge says he wrote to the Commonwealth Bank seeking details of bank accounts that were in dispute by parties being respectively represented by Maurice Blackburn and Slater and Gordon lawyers. He says he sent a copy of the letter to Robert.F.Smith and Bruce Wilson. From what I can tell the 9th of August 1995 is the first time that Cambridge became involved in the investigation of fraud. If this is the case it is 5 days after Robert.F.Smith wrote to Cambridge flagging his intended actions against Bruce Wilson and in my mind is clearly the old trick by Cambridge “attack is the best form of defence”. Cambridge is saying if you go after Bruce Wilson we will come after you. Page 27 Paragraph 19 – Cambridge says “I wrote to all banks and financial institutions in Australia” requesting details of all accounts held in the union’s name. And on other pages such as 33 and 34 Cambridge says he again wrote to the Commonwealth Bank and at one stage he says he received correspondence from the bank saying it had been referred to their solicitor. Page 39 Paragraph 55 – Maurice Blackburn advise Cambridge their CEO, John Cain, is on leave and when he returns the matter will be raised with him. At paragraph 57 Maurice Blackburn advise Cambridge their client has refused to make the file available as it is covered by privilege. The client is the Bob Smith, the AWU Victorian Branch Secretary. At paragraph 58 Cambridge suggests Smith will not release the files to cover-up his actions. Above is just short summary of the parts in the affidavit showing Ian Cambridge going after the paper trail. There is plenty more in the affidavit. The key parts start at page 27 paragraph 19 showing the correspondence. So why did Cambridge not go after Slater and Gordon. In the affidavit at paragraph 18.2 pages 19 and 20 Ian Cambridge, raised specific questions about the role of Ms Gillard’s law firm, Slater & Gordon, in the purchase of a Melbourne property by Wilson. “I am unable to understand how Slater & Gordon, who were then acting for the Victorian branch of the union, could have permitted the use of funds which were obviously taken from the union, in the purchase of private property of this nature, without seeking and obtaining proper authority from the union for such use of its funds,” Mr Cambridge said. In the affidavit there is not one letter, fax or phone call to Slater and Gordon from Ian Cambridge requesting information or files? So who was Cambridge protecting? Well we know in the affidavit that Cambridge was working with Bill Ludwig given Cambridge wanted the Maurice and Blackburn files sent to Ludwig’s lawyers. We also know Ludwig was close to Bruce Wilson. Yes, Cambridge does go hard against Bruce Wilson in the affidavit. But not as hard as he could have if he was serious. At the time of writing the affidavit there were a number of police investigations either just concluded or still in motion. So going hard against Wilson was possibly just to cover themselves in case the police did do their job. Also the Howard Liberal government had just come to power a few months earlier so maybe Cambridge and Ludwig were worried about the federal government holding a judicial inquiry. But they made sure they helped keep the most powerful evidence against Bruce Wilson, which Slater and Gordon had, hidden. Ian Cambridge wanted a Royal Commission (Click here to read his full letter) When you click on the link scroll down to see the actual letter. On further reflection and with further evidence what is clear is that Cambridge was in fact putting the blow torch on the federal government to make sure the whole matter disappeared as well as looking after his own position. In the last paragraph of his letter he says “I ask for your commitment to initiate an inquiry into this matter” “if re-elected”. Cambridge sent the letter on the 23 January 1996 and the Federal Government announced the election on the 27th January 1996 to be held on the 2nd March 1996. All my research says that everyone knew Labor was in for a hiding at the 1996 election and that is what happened. The ALP lost 31 seats to the coalition and its 38.8% primary vote was the lowest recorded by the ALP since 1934. This is important because when Cambridge said in his letter “if re-elected” what he was really saying to Laurie Brereton is, you deal with it or John Howard and the liberals might when they come to power. Brereton would have choked when he read the letter. Cambridge had achieved his aim with the letter. Intimidate people to close down the whole affair. If it was not closed down Bruce Wilson was in a lot of trouble and that would have led back to Bill Ludwig and I have no doubt Ian Cambridge as well. As we know Ian Walter Cambridge ultimately took a bribe with his appointment as a Commissioner to the NSW Industrial Relations Commission in 1996. 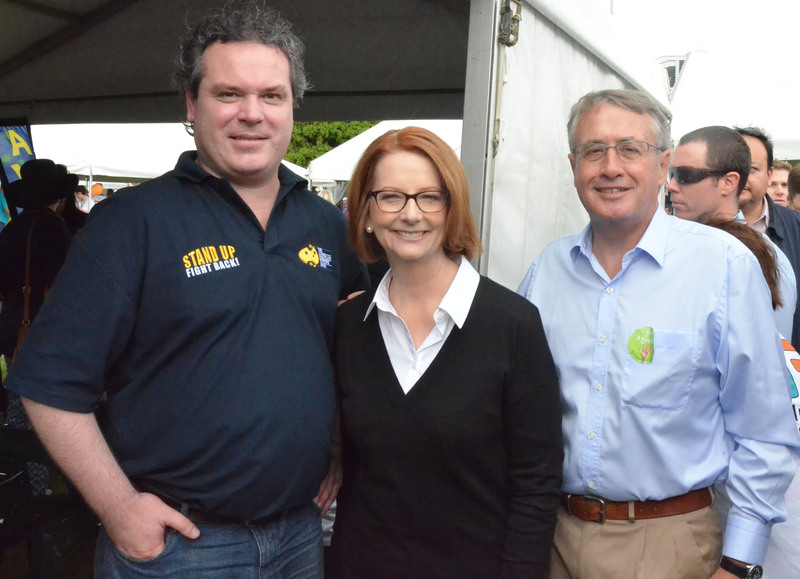 Julia Gillard was a major beneficiary of the actions of Bill Ludwig and Ian Cambridge. 1. Why did he not request information or files from Slater and Gordon given he chased so hard for information from Maurice Blackburn and the Banks? 2. Why did he ask the Labor government for a Royal Commission when he knew they would not have one? 3. Why did he not write to the Howard government requesting a Royal Commission? Was he worried they would actually have a Royal Commission? 3. Why did he shut his mouth when he was appointed a Commissioner? There was nothing legally stopping him from still pushing for an inquiry. Faceless men or faceless man? The minutes of a May meeting of a mysterious company linked to the Australian Workers’ Union record a ”discussion” about finances before a motion that the company be wound up. 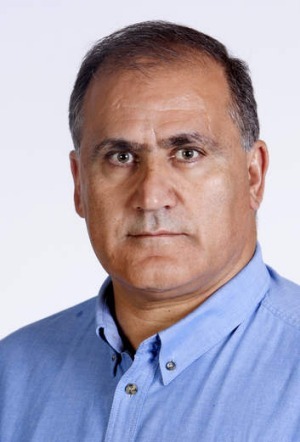 Proposed and seconded by the meeting chair and former Victorian union secretary Cesar Melhem, the resolution was passed ”unanimously” by a ”show of hands”. Or so the minutes claim. But the minutes were wrong. They should have read show of ”hand”, singular, because Melhem was in fact the only one at the meeting. He was sole director of Industry 2020, a union slush fund – Melhem’s personal, union slush fund. With contributions from big-name employers, such as builders John Holland and Thiess, and recycling giant Visy, Industry 2020 generated hundreds of thousands of dollars between 2008 and 2012. But a career change for Melhem, and some unwelcome publicity from Fairfax Media, made Industry 2020 inconvenient for the AWU, Melhem and his beloved ALP. The wider public, including union members and shareholders in companies such as John Holland, may never know fully where the money went, who benefited from it, and who lost, because we have no legal right to know. The little insight we do have about Industry 2020 came from Melhem himself when he spoke to Fairfax in December for an hour or two in an agitated interview as the union movement was reeling from the scandal around the alleged misuse of Health Services Union (HSU) money by its former leaders, Craig Thomson and Michael Williamson. Just days before, AWU federal secretary Paul Howes had called for greater accountability for unions, insisting they had nothing to fear from public scrutiny. Melhem acknowledged he had spent some of the Industry 2020 money on elections in other unions – including tens of thousands on the 2009 HSU election in Victoria – and on ”activities” in the ALP. Others in the party call it branch-stacking. Since Industry 2020 was exposed to those moments of dappled sunlight 12 months ago, Melhem has flatly refused to discuss it. Industry 2020 is one of myriad slush funds, training schemes, and tricks for diverting union and parliamentary resources, that generate millions of dollars in funny money currently sloshing around the Australian labour movement. Former ALP leader Mark Latham says such money is increasingly the lifeblood of union leaders who have declining industrial relevance but are intent on propping up their disproportionate hold on power within the party and, through it, Australian politics in general. Crucially, it buys clout within the ALP that helps determine who gets to become or remain an MP, a cabinet member, and even a prime minister. Rank-and-file union and ALP members are pawns in such games. ”Unions have become more like ‘virtual’ bodies, poor in membership numbers but rich in resources leveraged from super financing, training funds and contractor extortion,” Latham wrote in 2012. But pressure is growing for this to change. The Coalition has threatened to clamp down on union funny money. Senior and rank-and-file Labor members are pressing for reform, especially in the wake of the HSU scandals and September’s federal election drubbing. Many insiders are calling for an overhaul of the 120-year-old relationship between the political and industrial wings of the labour movement. Hughie Williams loves a fight. A working-class scrapper from the coalmines of Maitland in NSW, he used his fists in Jimmy Sharman’s boxing tents before wrestling his way to the Tokyo Olympics. 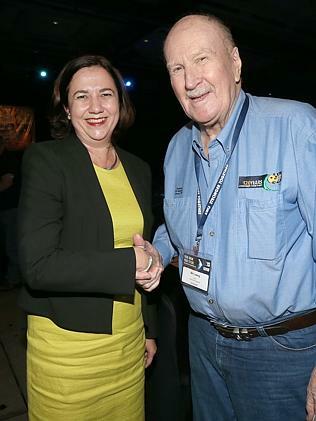 Williams’ warrior instincts served him well during almost 20 years as the maverick, left-wing leader of the Queensland branch of the Transport Workers Union. Sitting on the verandah of his humble Brisbane weatherboard, the soft-hearted tough guy admits to being an old-fashioned unionist who preferred to tackle his opponents head on. 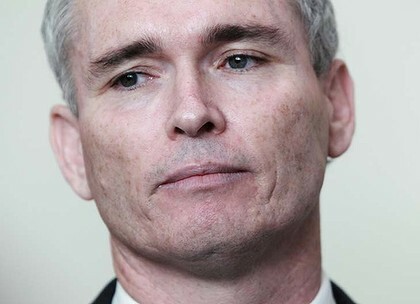 In the 2010 election for the Queensland TWU, Williams found himself swinging at phantoms. The famously frugal Williams ran a modest, old-fashioned campaign against the rival New Transport Worker Team – and was defeated. An investigation by Fairfax Media has found Williams was overthrown by an elaborate campaign orchestrated by his own union’s federal and NSW offices, with the active support of the HSU and interstate ALP operatives, including from the offices of right-wing powerbrokers then-Victorian senator David Feeney and former NSW senator Stephen Hutchins. Hutchins insists his staff member, Amber Setchell, was on holiday at the time. The victory by the anti-Williams team gave it control of the $11 million in assets Williams (a child of the Depression) had amassed over 20 years. For the buccaneers of Labor’s Right, it was a raid with real booty. 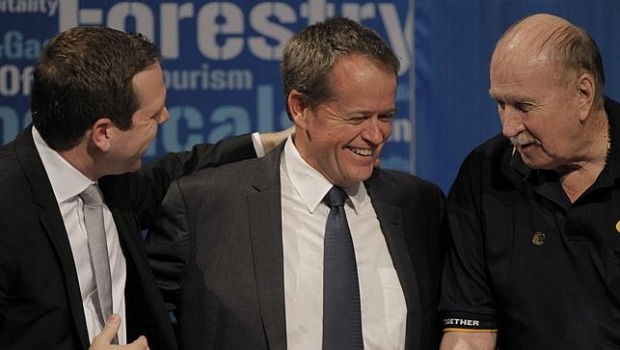 More importantly, it allowed the factional bosses in NSW to transfer the TWU’s block of Left votes at the Queensland Labor conference to the Right faction dominated by the AWU, the group behind former treasurer Wayne Swan and Bill Shorten. It was a textbook study in factional piracy, and of the array of resources available for union/factional chieftains to shore up empires. Only a generation or two ago, a union official such as Bob Hawke could have a say on the economy and on the living conditions of a large proportion of Australians. And as a newly elected prime minister in 1983, Hawke entered an accord with unions, including on wage moderation, because unions were strong enough to deliver an outcome. Now the unions’ scope and influence is much diminished, and in the private sector, it is largely confined to old industries, many of which are in terminal decline – manufacturing in particular. Union membership has more than halved since the Hawke years to just 18 per cent of the workforce, and even less in the private sector, where barely one in eight workers is in a union. The country’s biggest unions – public service unions, including the teachers and nurses – are not affiliated with the ALP. Affiliated unions represent just 10 per cent of the workforce, and just over half of those union members are likely to be Labor voters. Yet the Labor unions control 50 per cent of delegates to party state conferences, which in turn elect the all-important committees that run the party and have a big say in who becomes a parliamentary candidate. Perversely, as the influence of union officials on the economy wanes, their grip on the ALP, hollowed out itself by declining membership, appears to tighten. Tellingly, it is these ALP-affiliated union leaders who tend to get embroiled in funny-money games and financial scandals. The HSU and TWU are obvious examples. Of course, spats in the union movement are nothing new. In days past, the unions were an important theatre of ideological battle, especially for communists and Catholics. The point of more recent brawls is often difficult to fathom. Now the elections that generate the most heat and greatest misuse of resources tend to be territorial battles involving what Latham calls ”sub-factional” warlords. Geoff Robinson, political historian and lecturer at Deakin University, says the decline in ideological politics means union elections are about ”money-driven empty personality politics”. As an example, he points to the HSU elections in 2009 and 2012 – furious encounters by warring right-wing groups. Preceded by public punch-ups and allegations of corruption, the 2009 election in Victoria descended into an expensive, no-holds-barred, three-cornered brawl. Sources from within all three groups estimated the total cost of the election at more than $1 million in Victoria alone. Fairfax understands that union resources and/or slush funds were tipped into the HSU election by the plumbers’ union, the shop assistants’ union, the AWU, and the National Union of Workers. The similarly gruelling poll in December 2012 was again resourced and run, in part, by outsiders, including Feeney on one side and factional allies of Shorten on the other. ”What was the HSU fight about?” say Robinson. ”What was the division between these sub-groups? Nobody has any idea. It was about who got into Parliament, probably.” Union members, says Robinson, were certainly not the winners. And employers? Why do they seem to contribute so readily to slush funds and often questionable union training schemes? Employers are reluctant to discuss such matters publicly. But one senior construction industry executive – who would only speak on condition of anonymity – describes employer contributions to both as ”greasing the wheels”. The unions themselves are more coy. Both Industry 2020 and the NSW Transport Workers Union equivalent, the McLean Forum, specify their primary objective as the promotion of ”moderate” and ”progressive” social policies and trade unionism. Cash, in other words, for moderation. A case in point was the construction of the EastLink tollway in Melbourne’s eastern suburbs in the late 2000s. The project was delivered by builder John Holland months before its deadline, due in large part to the flexible work arrangements agreed to by the AWU. At the time, Holland contributed to union coffers by buying union training services, buying tables at union dinners, and by tipping into Melhem’s Industry 2020 fund. Industry sources have confirmed the AWU got the training work because of the importance of its relationship with the builder. It is an almost iron law, measurable by close observation, that the bigger the role a union plays in internal Labor Party politics, the less of a role it plays as a vigorous industrial advocate. National Union of Workers Victorian secretary Tim Kennedy admits his union operates best when it is less involved in Labor’s factional dealings. The Australian Nursing Federation has grown quickly in recent times to become the largest union in the country. It is best known for its strident advocacy on behalf of members. It has no formal link to the ALP. The union that shares workplaces with the nurses is the HSU, which is bogged down by scandal, corruption and Labor’s factional politics. Looking back at the 2009 HSU election in Victoria, and only half joking, a seasoned factional boss told Fairfax Media the Labor and union figures involved should be ”in jail” for their misuse of union and parliamentary resources. Yet, troubling as misuse of resources and slush funds can be, the law rarely intervenes. RMIT University workplace lawyer specialist Anthony Forsyth says it’s unlawful for a union official to use a union’s resources to support particular candidates in an election in that union or another. So, too, is it an offence to use parliamentary resources for union elections. Beyond direct use of union and parliamentary resources, however, there is little or no regulation of labour movement funny money. Most slush funds don’t break any laws and are often defended as benign re-election accounts into which union officials are expected or obliged to regularly contribute. Some funds allow unions to avoid using members’ dues in election battles. These funds can play a positive role in union democracy. But across the labour movement, there are many different funds – some are certainly not what they claim to be – ranging from the relatively benign to the outrageous. In his seven years at the helm of the AWU in Victoria, Cesar Melhem never faced an election challenge. Industry 2020, while legal, was unquestionably a slush fund for Melhem’s factional adventures. The Transport Workers Union’s McLean Forum was established in the mid-1990s by then union chiefs and NSW Right luminaries, former federal MP Mark Arbib, ex-senator Stephen Hutchins and current federal secretary Tony Sheldon. Sheldon insists the McLean Forum cash comes exclusively from the contributions of TWU officials. He also acknowledges using the fund for fights within the Flight Attendants Association of Australia and in the HSU’s NSW branch. It is unclear if his officials were aware their contributions were to be diverted for elections in other unions. Such money is undeniably political. Yet it escapes the scrutiny and regulation – weak by the standards of comparative countries – that applies to standard political donations. In opposition the Coalition vowed to rein in union funny money but in government has so far been more cautious than some unionists had expected. It has tabled bills to overhaul laws and rules around disclosure and transparency, including disclosing the pay of the top five union officials and tougher fines for non-compliance. Despite the tough talk, however, the government has been notably quiet on slush funds. The Coalition is well aware that it would be difficult to closely regulate union money without ensnaring its own equally dubious political fund-raising. Change, however, may yet come from within the labour movement itself. Inspired by the recent rule change allowing members to participate in the election of the party’s federal leader, Labor reformers are turning to what many regard as a deeper and more vexed question: what to do about unions. Latham is pushing for a big reduction in the proportional influence of unions in the ALP – down from the current 50 per cent to a maximum 20 per cent. Others, including elder statesman John Faulkner, want individual union members to have a greater say, including on whether any part of their membership fees are paid to the ALP – the opt in/opt out system now in place in Britain. This week rank-and-file Labor members in Victoria were angered by Fairfax reports of union/faction bosses in backroom deals over forthcoming preselections. In particular they railed against a plan to fast-track byelections and bypass ballots of local members. But the main obstacle to reform is that those with the most to lose from it are those with the power, the numbers, the resources, and the positions. Any law or party reform that may emerge from the current debate is unlikely to bother Cesar Melhem; as long as it’s not retrospective that is. He took up his safe, upper house parliamentary seat in Victoria in May, just days before he closed down the fund that helped get him there. Where did the Industry 2020 money go? He refuses to comment other than to say it has gone to a like-minded cause. Whatever that means. Royce Millar is an investigative reporter and Ben Schneiders is a senior writer. Previous Previous post: Hundreds linked to Australian Islamic Charities funding Terrorism: AUSTRAC to tackle those bankrolling terrorists.